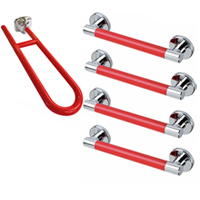 300mm Grab Rail Pack Of Four - In Plastic Fluted - Easy To Grip. 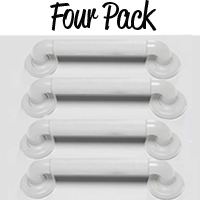 450mm Grab Rail Pack Of Four - In Plastic Fluted - Easy To Grip. 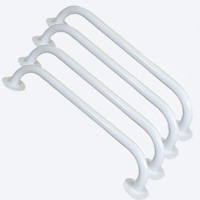 600mm Grab Rail Pack Of Four - In Plastic Fluted - Easy To Grip. 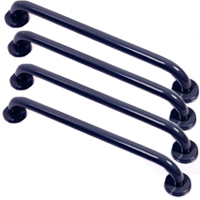 600mm Grab Rail Pack Of Four - In Blue Steel - Ideal for commercial applications. 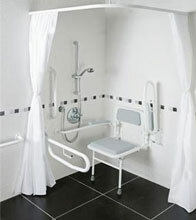 Here are our grab rail packs - We have a pack of 300mm grab rails, 450mm grab rail pack and 600mm. Also they come in a white finish and a blue.